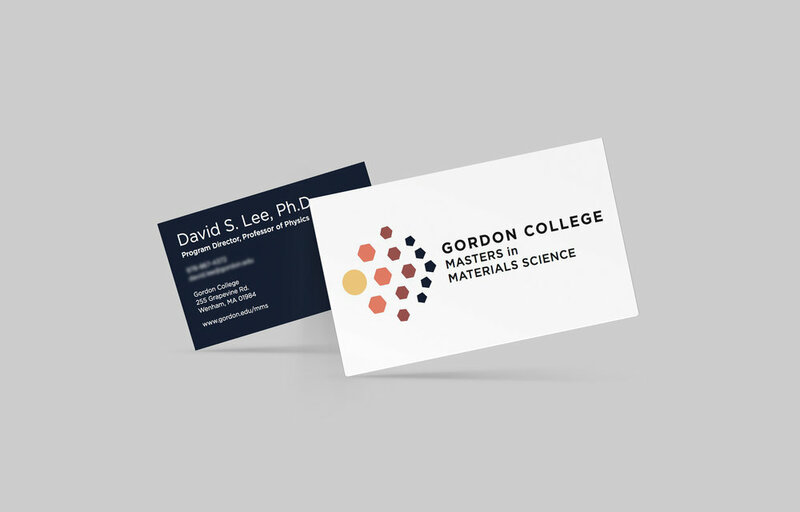 Masters in Materials Science was one of the first client based experience I took part in and was a direct collaboration with Dr. David Lee, the physics department chair at Gordon College. 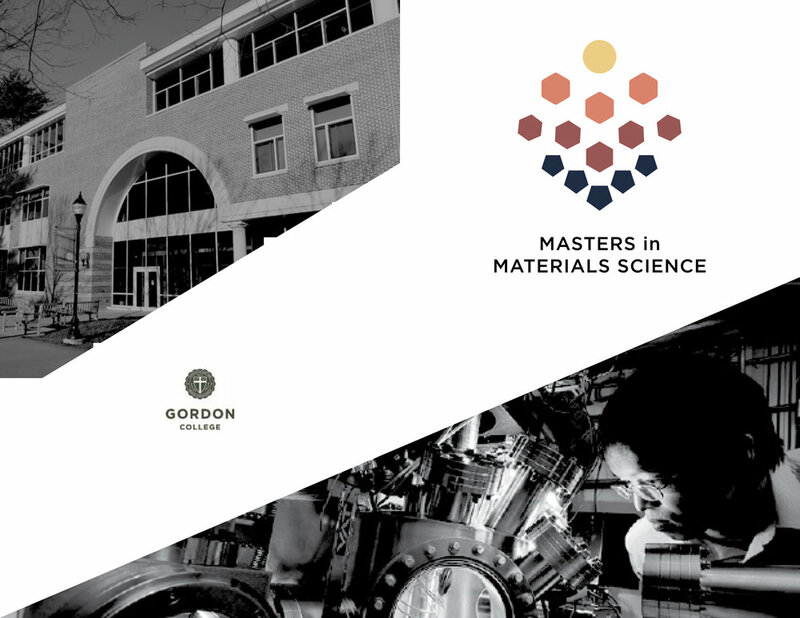 The semester prior to working directly with him a design class had touched onto designing a logo for his idea to create a materials science masters program. 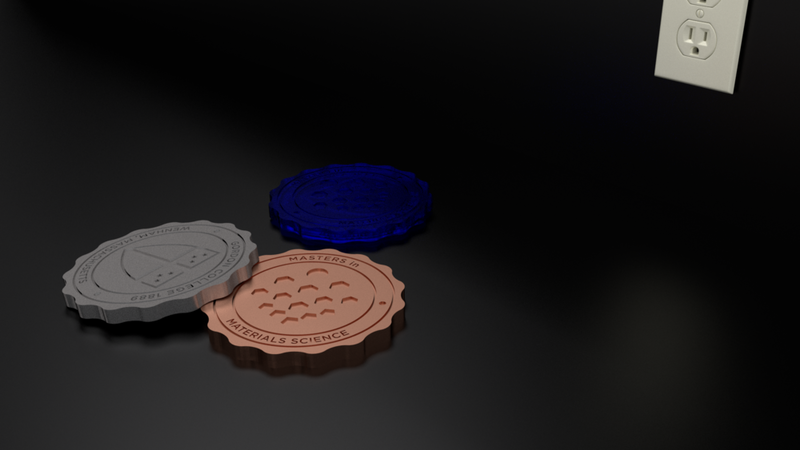 Since the work was not yet complete I decided to pick up where the project left off and design the final logo, print materials, an app mockup, and a medallion. 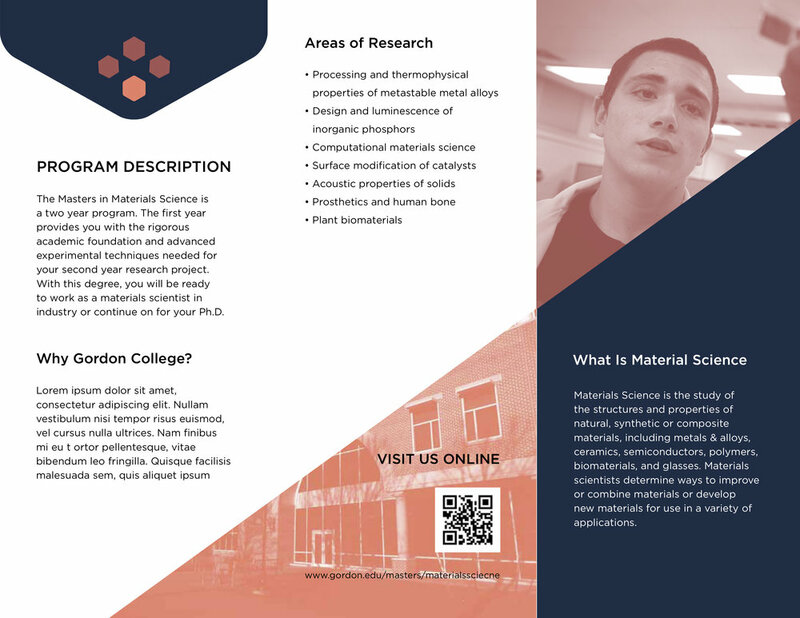 Designing a logo for this materials science course was not an easy task. In order to understand what the client wanted I first had to gain a basic knowledge of what material science is. The more I understood, the more meaning I was able to fit into the logo while simplifying it. The process and the final logo breakdown below gives a good example of this. 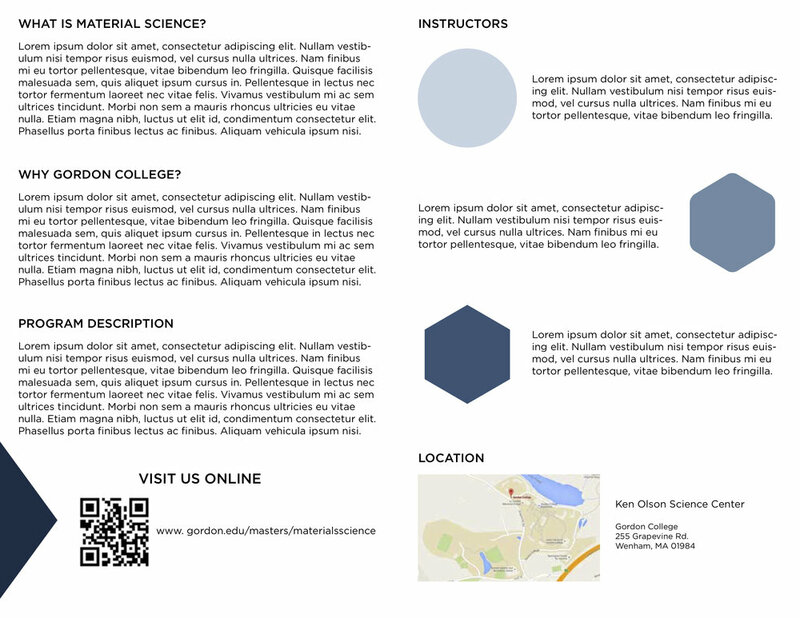 For the print materials I designed business cards and a program brochure. Preliminary rounds included bifold and trifold designs. 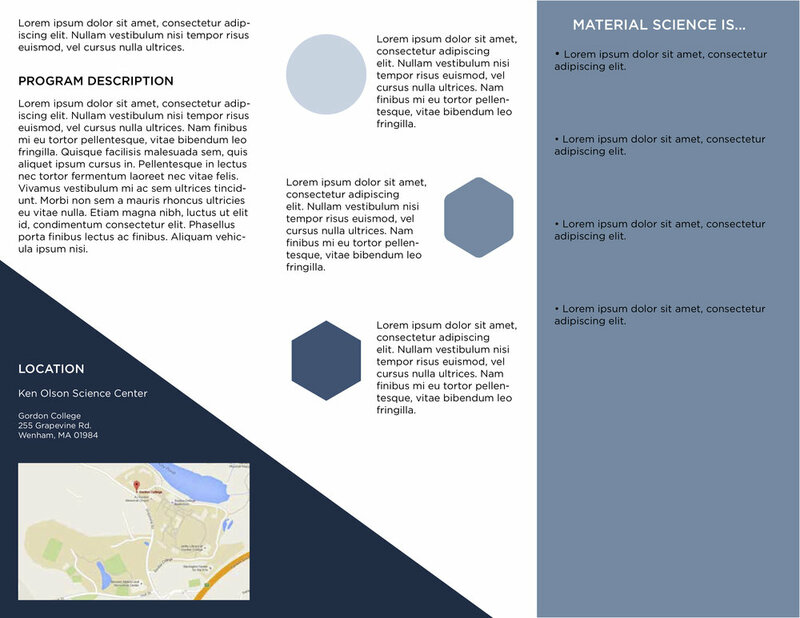 The final brochure ended up being completely different and consisting of a hinged, center opening design. The medallion is a memento given at the completion of the masters program. It was designed with CAD software so that the program could cast or machine their own out of varying materials.